Carpet and office furnishings are a key investment for making a good first impression for your business. We can help make sure that your office looks its best and maximize the longevity of your carpet and furniture. At ServiceMaster Clean of Burnaby South Fraser we have a deep commitment to quality. We provide our customers with custom carpet care programs that will directly suit you and your business. Over time carpet can become matted, discolored, and frayed due to neglect or improper care. This often leads to a costly replacement. However, with regular, thorough cleaning by our skilled ServiceMaster Clean professionals, we can extend the life of your carpet investment and maintain its appearance in an affordable manner. ServiceMaster Clean of Burnaby South Fraser will not only take care of your carpets and furnishing, but will also provide the finest quality of customer service in the industry. We recruit and train a diverse group of dedicated and motivated cleaning professionals that will assure you top quality work and customer care. We communicate effectively with our teams, convey customer concerns, and monitor closely each client’s progress. We are always open to customer feedback and are willing to develop an office cleaning program that is directly suited to your needs. Trying to be more environmentally friendly and still maintain a professional look for your office? We have a solution for that. ServiceMaster Clean has developed a whole line of environmentally friendly cleaning products called Green For® that provide a completely safe and deep penetrating cleaning that loosens and removes accumulated soils, bringing the life back into your carpet. ServiceMaster has found a way to effectively clean using only natural ingredients that not only reduce the impact on the environment but, makes your office space safer for all individuals with asthma or chemical hypersensitivity. ServiceMaster Clean of Burnaby South Fraser believes that being environmentally conscious shouldn’t cost you extra. We will design a tailored cleaning program for your office that will help improve your indoor air quality, keep your office looking its best, all within your budget. So.. why not go Green. 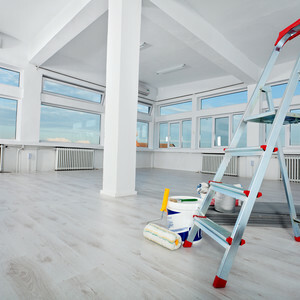 Your Cleaning Specialists ServiceMaster Clean of Burnaby South Fraser, offers a wide variety of commercial cleaning options from carpet to hard surface flooring. We also provide specialty cleaning services such as furniture upholstery and leather cleaning and post construction cleaning.